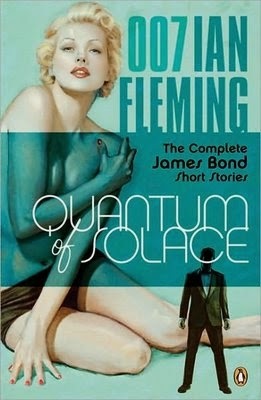 Edward R. Grainger at criminalelement.com looks back at the late great thriller writer Ian Fleming's James Bond short stories. Every so often the caretakers of the James Bond movie franchise talk about getting back to author Ian Fleming’s original creation, distancing themselves from the outlandish stunts, gadgets, and cartoonish violence that helped turn 007 into a billion dollar staple but undermined any sense of believability in the series. A reboot featuring Daniel Craig’s stark portrayal in Casino Royale (2006) helped wash away some seriously low points in Bond history. Though I may never be able to completely forget the burned-in-my-brain scene of 007 snowboarding down a mountainside, in 1985’s A View to a Kill, to the playful tune of the Beach Boys’ “California Girls,” the recent Casino makeover did much to right the rudder, so to speak, navigating Commander Bond closer to Fleming’s darker waters. But, let’s dream a bit. What it would really be like if they got back to those Fleming fundamentals. Back to the uncompromising British emissary that villainess Vesper Lynd describes in Casino Royale (1953) as “something cold and ruthless." The man with the license to kill who soberly reflects in Goldfinger (1959), “it was his duty to be as cool about death as a surgeon. If it happened, it happened. Regret was unprofessional—worse, it was a death-watch beetle in the soul.” And though I appreciate the iconic Fleming novels, let me scale even further back to basics where the definitive essence of James Bond — the tired assassin, the man on the edge — lies … in the short stories. 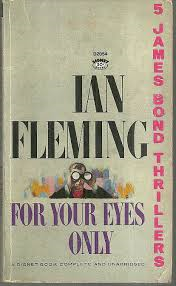 I wrote about Ian Fleming's James Bond short stories in my Crime Beat column. Bond in the short stories, as well as the novels, is more human, less promiscuous and less flippant than the film character. Bond is an extraordinary character in the stories and he encounters extraordinary people and lives through extraordinary events, but he is not Superman or a cartoon character.